The shape of this cup, with a solid foot, reminiscent of turned wood, is characteristic of the early stoneware production of north China, which began only in the late 6th century AD, some two thousand years after it had started in the South. 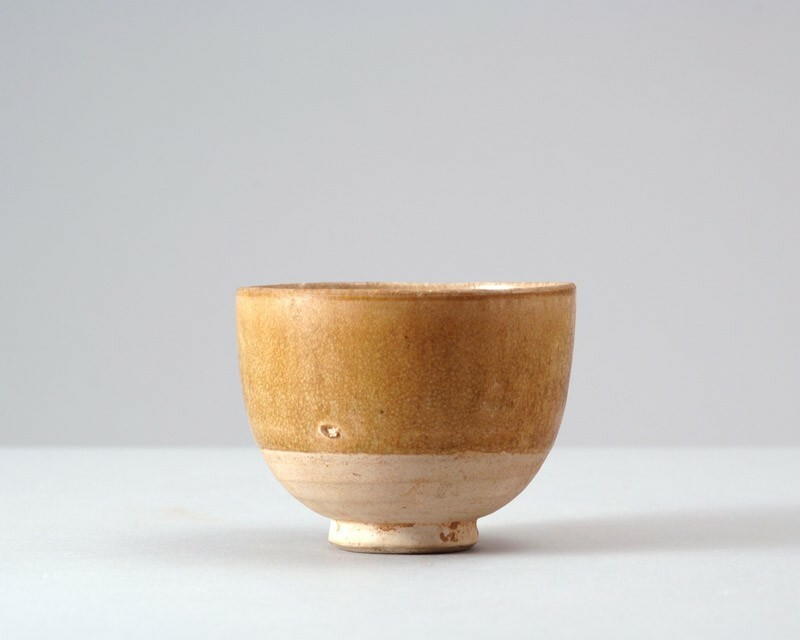 The deep U-shaped cup is heavily potted, resting on a small splayed, solid foot with chamfered edge and slightly concave base. The near-white stoneware body bears a crackled, light yellowish-green glaze, which leaves the lowest part free. The sides show horizontal markings from potting, and the inside has three spur marks.